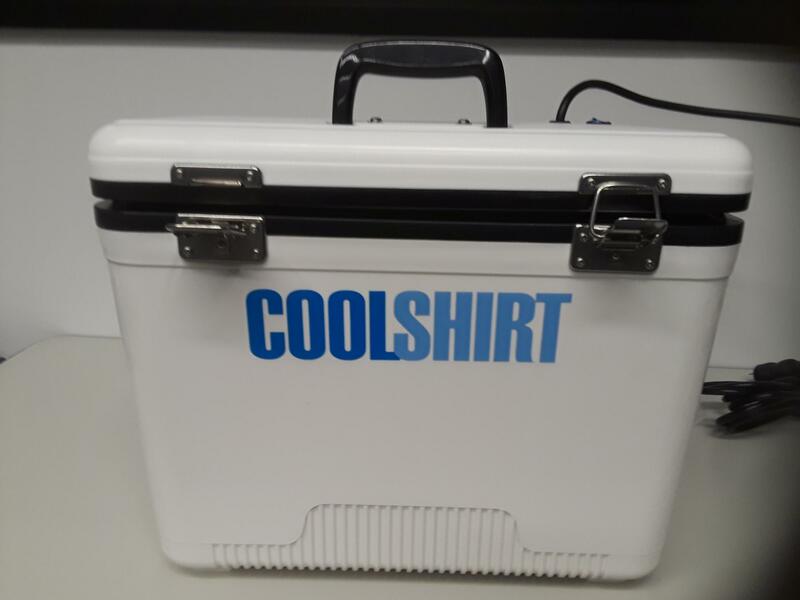 Coolshirts offers 2 Surgeon Cooling System options. A single user system and a dual user system. The dual user system allows 2 staff members or surgeons to be attached to one cooling unit. It requires a Y-Hose and an additional hose. 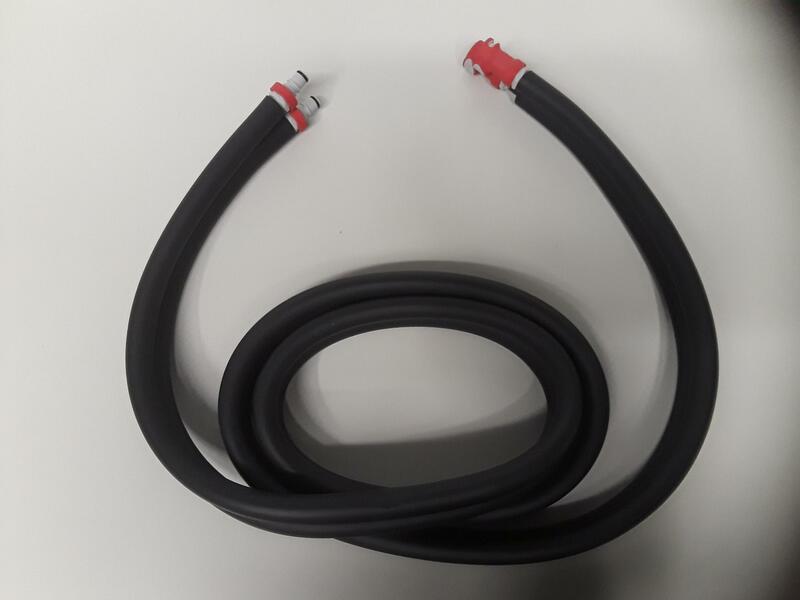 Systems purchased prior to 2015 are Generation 1 models with white or gray fittings on the supply hoses and the vest hoses. 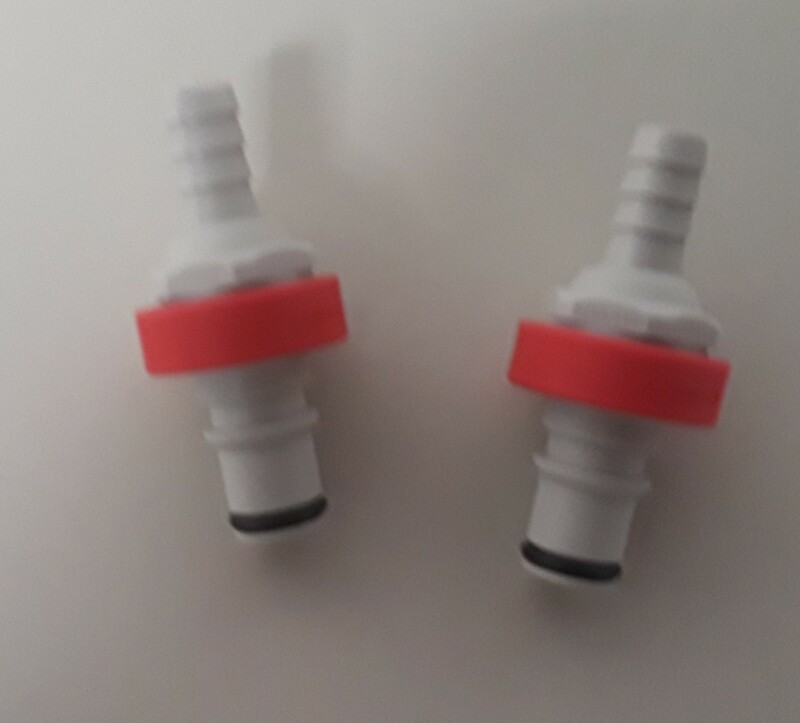 Generation 1 models can be upgraded with a simple replacement of the supply hose fittings and the vest hose fittings. 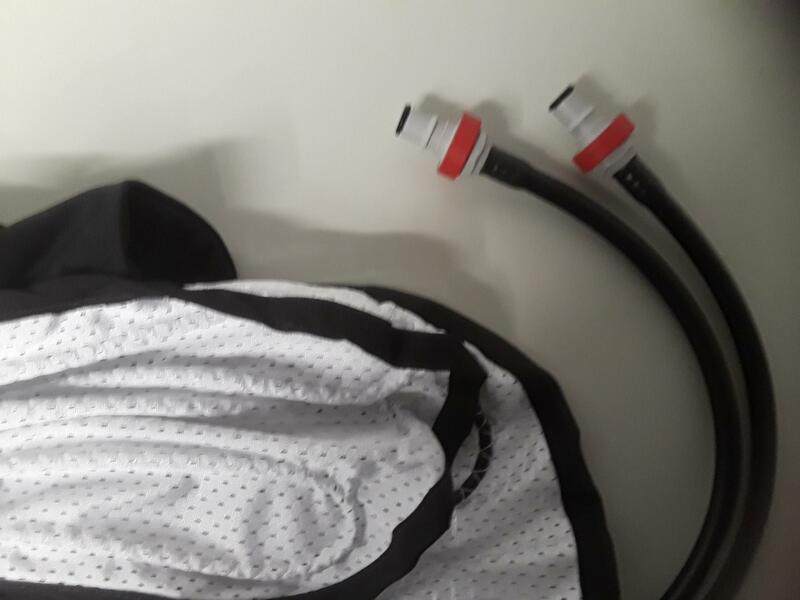 Systems sold since 2015, are Generation 2 models with RED fittings on both the supply hose and the Vest hoses. The cooling unit on the left is the same for both Generation 1 & 2 models. 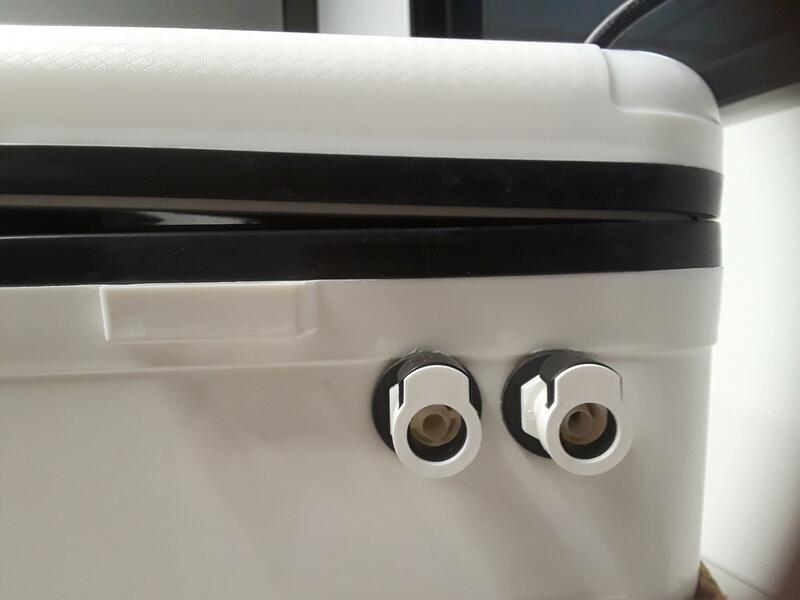 This is an 18 Litre UL Listed Hospital Grade Cooler. Fig 1 is a close up of the right side of the cooling unit. This displays the Bulk Head Fittings. Fig. 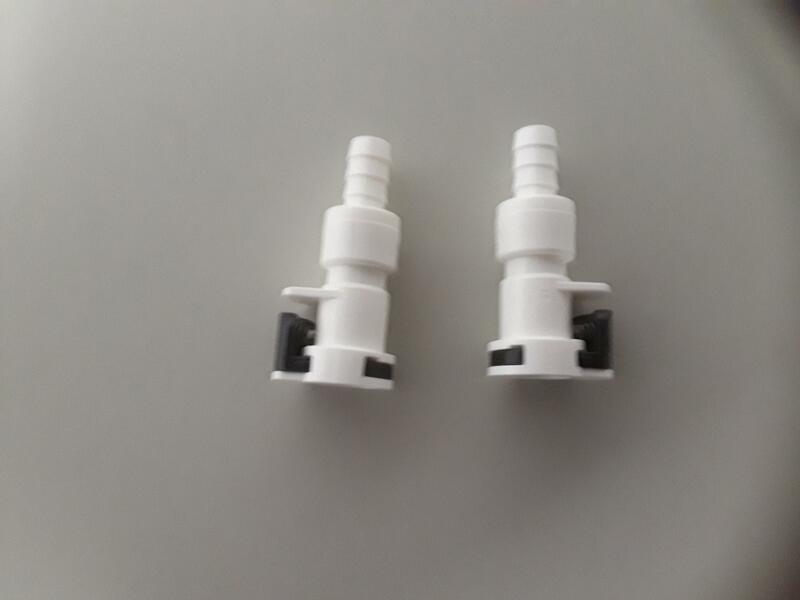 2 is the replacement Bulk Head Fittings with gaskets. 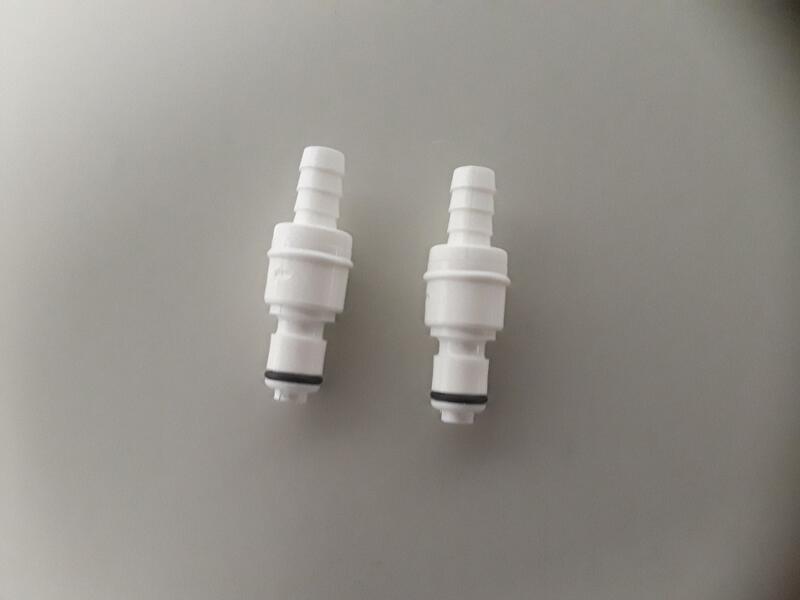 Order this part if you have a cracked or leaking Fitting. Part #5014-0010 contains 1 each. Fig. 3 is a close up of the a standard Generation 1 Hose. Order part #5014-0005 to replace the fittings. 2 each required. 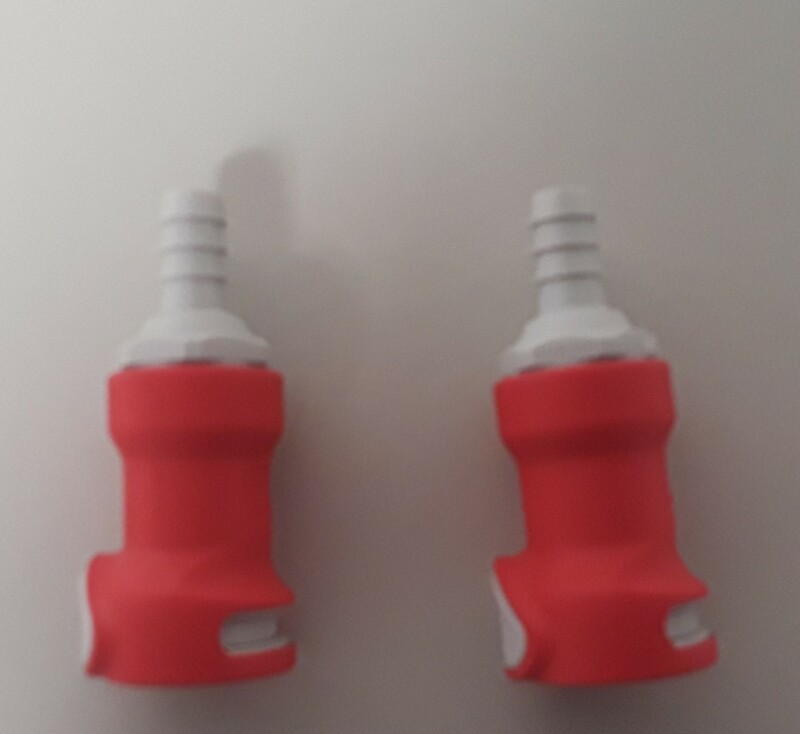 The Female Fitting plugs into the Vest Hoses. Order part #5014-0002 to replace the fittings. 2 each required. Fig. 4 is a close up of the Generation 2 Supply Hose. Fig. 9 is a picture of the Generation 2 Premium Vest. 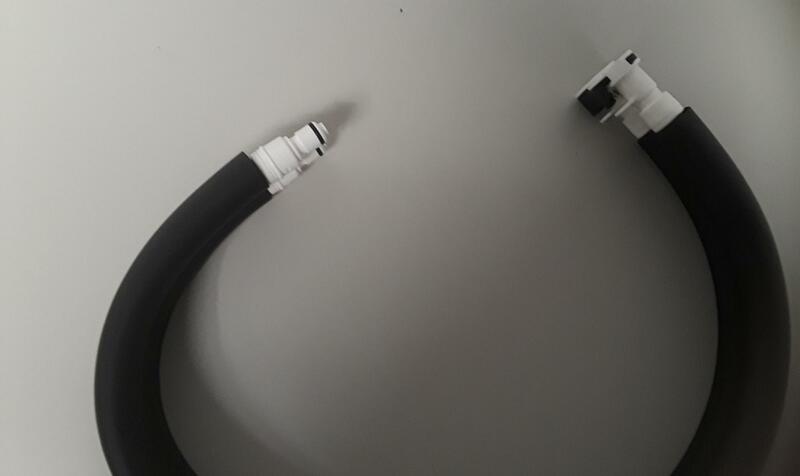 The Hose Fittings plugs directly into the Supply Hose. Order part #5014-0006 to replace the fittings. 2 each required. Currently, all Vests are made with the Generation 2 Non-Drip fiittings. These vests will require a Generation 2 Supply Hose. 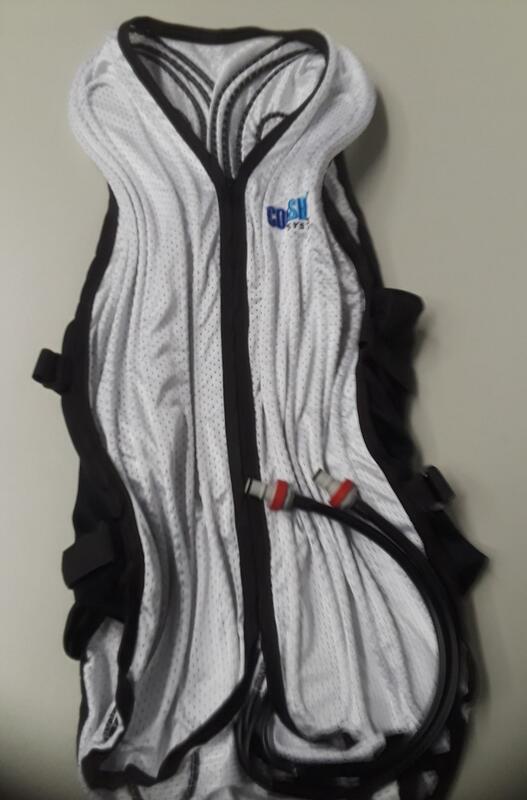 Special Order your vest with Standard Generation 1 fittings. 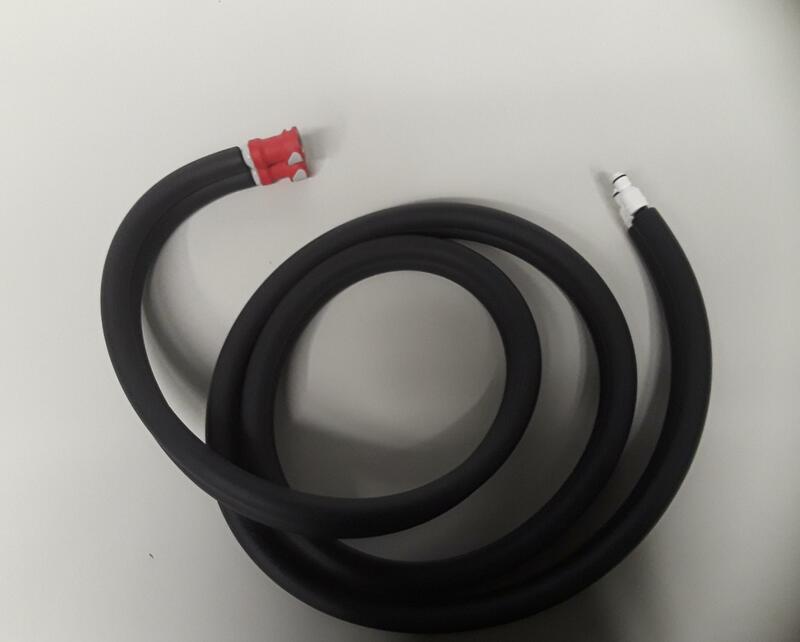 Upgrade your Generation 1 Supply Hose. 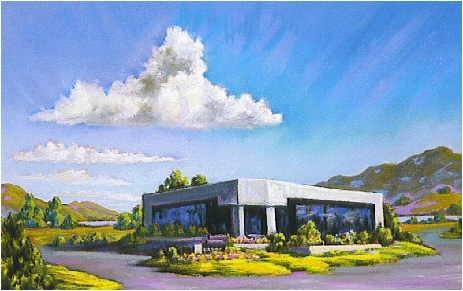 Order part #5014-0003 Qty of 2 (seen above). 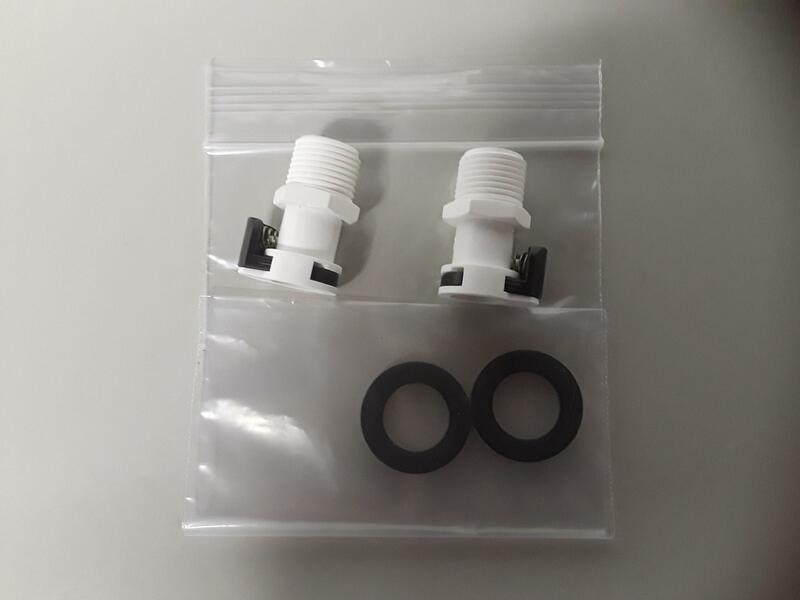 Note: * Each Drain Kit contains 2 Hose Fittings & 2 Vest Hose Fittings. 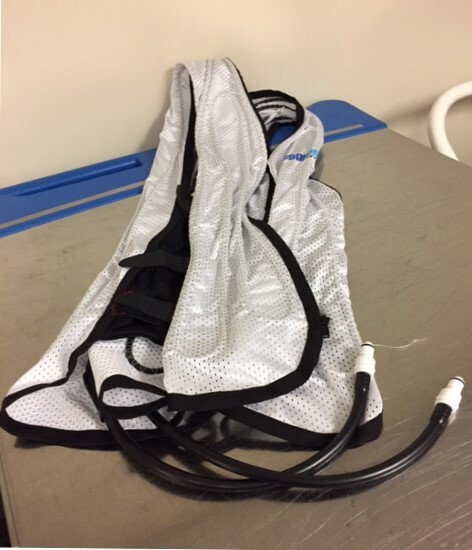 This allows all the water to drain freely from both the vest and hoses. For proper maintenance of your Cooling System, your O-Rings should be check and/or replaced regulary. Fig. 10 shows O-Rings on Generation 2 Fittings. Fig 11 shows O-Rings on Generation 1 Fittings. Prolube should be used for the replacements of O-Rings to extend the life by keeping them supple. 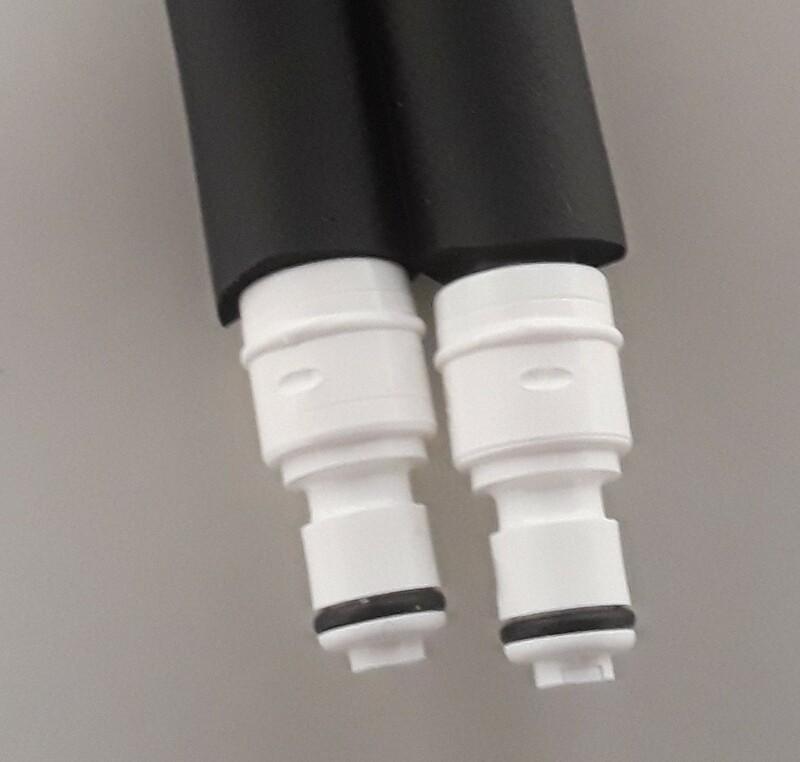 Maintenance Additive should be added to the water in the cooling unit to prevent bacteria growth in the tubing and hoses. A Drain Kit should be used to drain all the water from the Vests and Supply Hoses when not in use. Item Numbers are listed in the chart below. Fig. 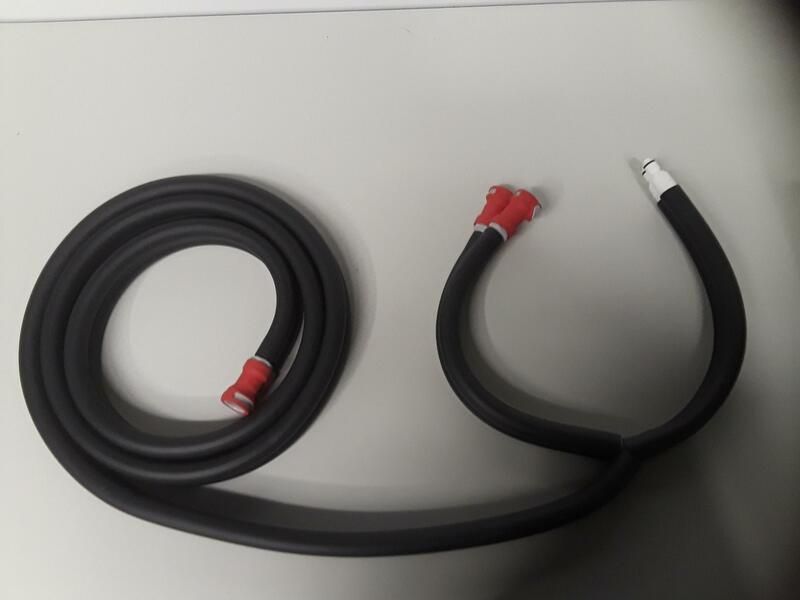 5 is a close up of the Generation 2 - 8 Ft Supply Hose for a Dual User System. This hose does not plug directly into the cooling unit. A Gen 2 - Y Hose is required. Fig. 7 is a close up of the Generation 1 Vest. These are no longer manufactured. They can be special ordered by requesting the Standard Fittings for Generation 1 systems. These vests can only be used with Gen 1 Hoses pictured in Fig 3 above. 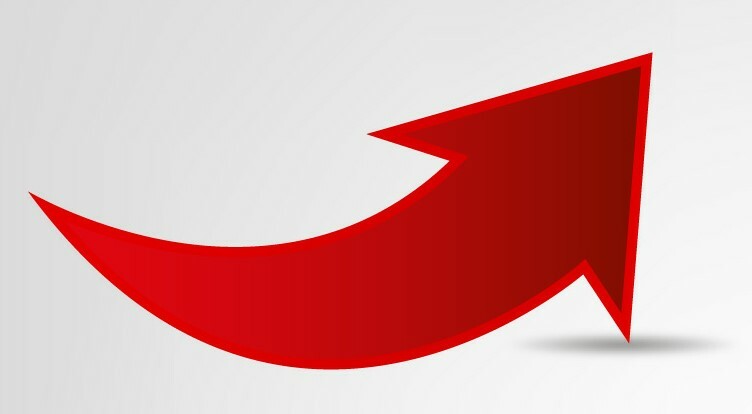 Optionally, they can be upgraded to Generation 2 by ordering part #5014-0006.